The cherry blossoms have been fickle as always, with peak bloom dates changing. Before calling NPS to request a change of date, I decided to go check out the blossoms myself on Wednesday. After finding zero blossoms, I thought I'd see if the shoe memorial to gun violence victims was still up. 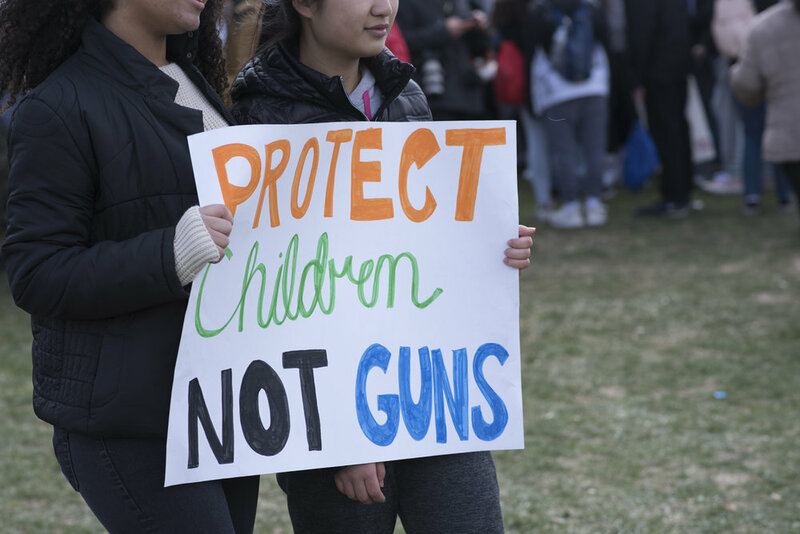 It wasn't, but there were tons of students still at the Capitol lawn protesting. Regardless of how you feel about their goals, it's worth noting that every kid I met was polite and respectful. As a former teacher, this gives me hope for the future. Civil discourse, kids being interviewed in Spanish for various media, kids stopping to say hi and show me their signs, and kids who politely gave me space to walk while I lugged around a giant purse, camera, and toddler on my back! As adults, we want kids to learn to be respectful citizens, to understand civics, to understand that actions have consequences, and not to eat Tide Pods. I saw kids who were all of the things we want, and in an extremely diverse crowd. Most of my work focuses on capturing people, but when you have a chance to document history, you do it! 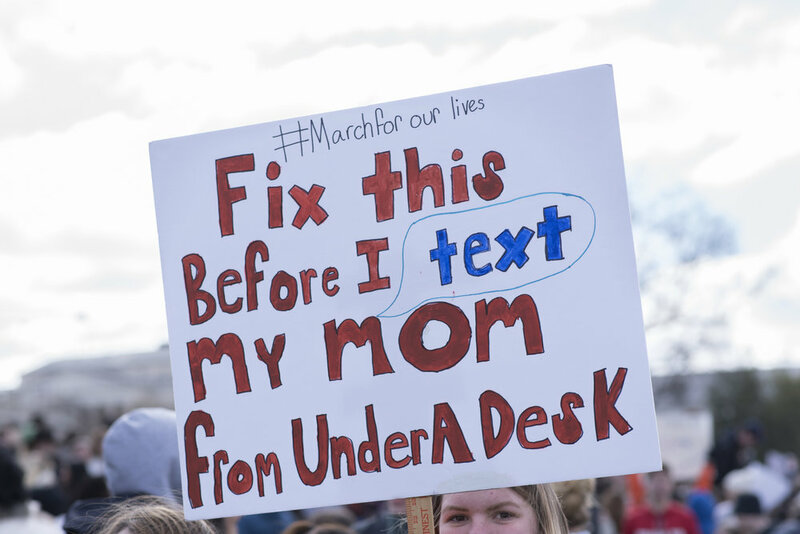 The sign that stood out the most read "Fix this before I text my mom from under a desk." As the parent of two little girls, it broke my heart and terrified me.